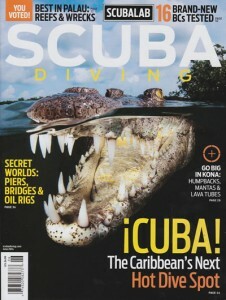 Look Who’s on the Cover of Scuba Diving Magazine! 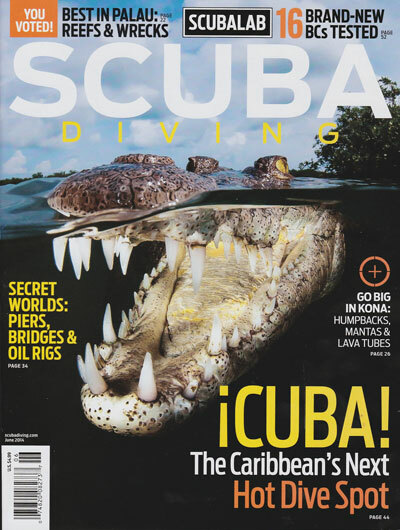 That’s our pal, Niño the saltwater crocodile, adorning the cover of the latest Scuba Diving Magazine! We’re proud to say that the cover story feature’s Ocean Doctor’s unique educational travel programs to Cuba and the spectacular Gardens of the Queen. 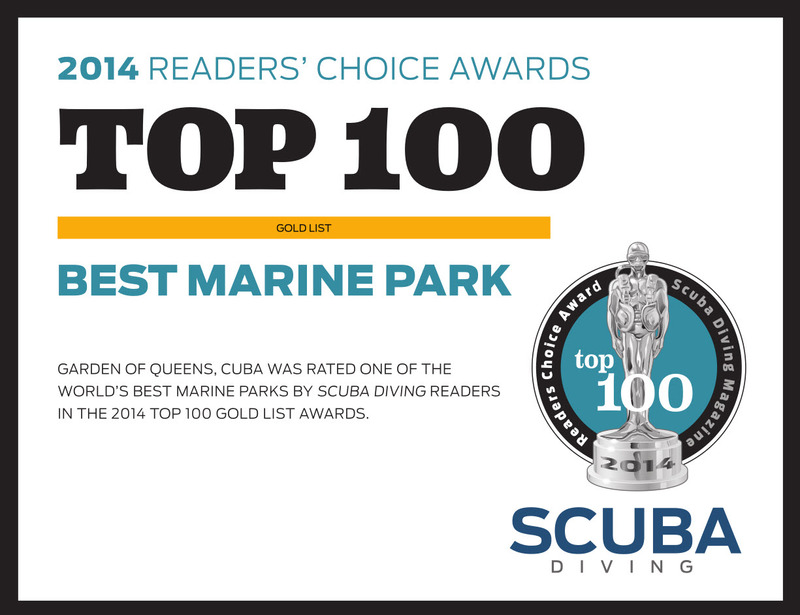 We’re also proud to say that Scuba Diving Magazine readers voted Gardens of the Queen “Best Marine Park,” and with good reason. It’s the Caribbean’s largest fully-protected marine park and its health and wildlife are unmatched in the region. Want to join us? We have space for individuals and small groups on the following dates. Learn more about our Cuba Travel Program and contact us if you’re interested in traveling with us for the luxury learning adventure of a lifetime. Under a license from the U.S. Treasury Department, our program allows us to take U.S. citizens and residents on these trips legally. This unique educational journey examines the relationship of Cuban citizens with their natural environment, including burgeoning socioeconomic and cultural issues brought about by Cuba’s growing ecotourism industry. The exchange also represents an opportunity to explore with our Cuban colleagues important environmental issues that impact the marine waters that both nations share. Visitors will meet with Cuban scientists, resource managers, ecotourism professionals and community members. Six days of this 11-day/10-night trip will be spent aboard a floating hotel or live-aboard dive vessel in the heart of Cuba’s Gardens of the Queen National Park, where much of the story lies underwater. 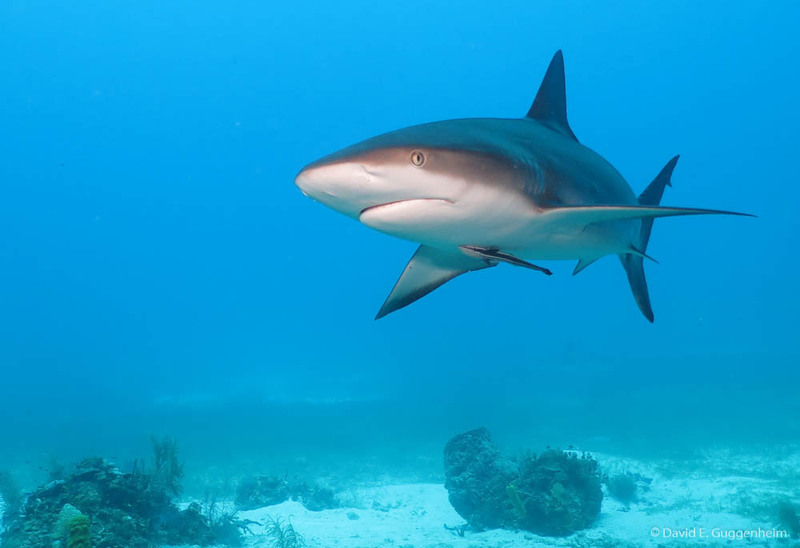 U.S. visitors will accompany Cuban specialists and be able to scuba dive in one of the healthiest marine ecosystems remaining in the Caribbean. Visitors will spend four nights at a 5-star hotel in Havana, visiting a variety of Cuba institutions and meeting with a range of Cuban professionals and community members. Gardens of the Queen was named by Christopher Columbus to honor the Queen of Spain and the area remains as spectacularly beautiful and wild as when Columbus experienced it centuries ago. Today, it is among the healthiest marine ecosystems in the region. The Gardens harbor abundant and healthy fish and shark population, stunning mangrove islands and shallow bays that teem with juvenile species, rare crocodiles, flamingos and other birds, iguanas and the jutia, a native rodent. 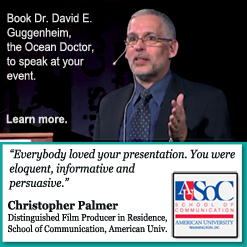 For more information, visit www.oceandoctor.org/gardens. 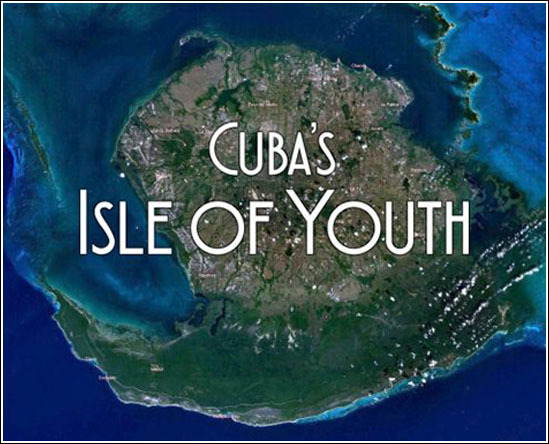 SPACE IS LIMITED: Cuban regulations strictly limit the number of visitors to this wilderness each year. Our trips run throughout the year based on demand and availability. Submit your preferred dates using our booking request form. ensure enduring, locally-supported marine research and conservation programs in Cuba. contribute to major advances in the scientific understanding of Cuba’s natural resources. achieve meaningful, long-lasting conservation for Cuba’s marine ecosystems and shared ecosystems of the Gulf of Mexico and Western Caribbean. 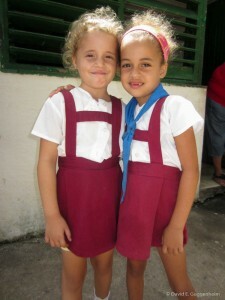 forge long-term collaborative relationships with our Cuban colleagues. help train the next generation of Cuban marine scientists. We committed to ensuring that this program sets the best possible examples for responsible tourism practices and sustainability. 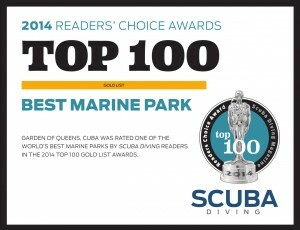 We’re happy to be partnering with Avalon Cuban Diving Services which runs the only diving operation at Gardens of the Queen, along with other diving centers throughout Cuba. Avalon runs a professional, low-impact operation with an emphasis on conservation and safety. You can download our flyer here and find much more information on our web site at OceanDoctor.org/Gardens. 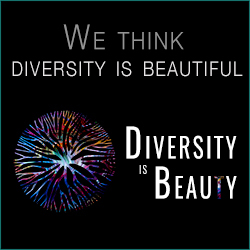 We look forward to your participation in this unique program! https://oceandoctor.org/wp-content/uploads/2014/07/SCUBA-DIVING_June-2014_COVER_IMG_20140526_0002.jpg 530 400 Ocean Doctor https://oceandoctor.org/wp-content/uploads/2015/04/Ocean-Doctor-Logo_w340.png Ocean Doctor2014-07-02 15:32:582014-07-24 15:57:41Look Who's on the Cover of Scuba Diving Magazine! Save Penguins and Threatened Wildlife at Earth’s Remotest Places What Becomes of Cuba After the Embargo is Lifted?